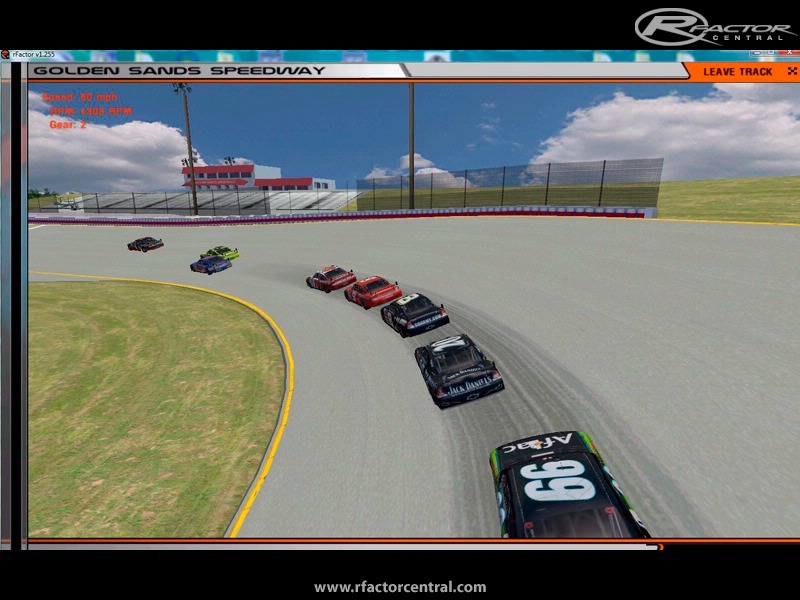 Converted to rFactor by "Griff"
There are currently no setups for Golden Sands Speedway. Add a Setup. Great track, wish i could figure out how to edit it and bring it up to graphical specs with the tracks out now.. this track could really use it. this track is nicer in real life.. I've gone there a few times.. Its located in Plover/Wisconsin Rapids, Wisconsin. Is it completely impossible to actually make an oval from scratch for this game? I race with the NSS 2009 mod so that is what I used when making the AI file.They seem to do pretty well other than getting a slow start. To enter the pits, make a hard right in turn two and follow pit road.